Remember the princess cake I did last month? 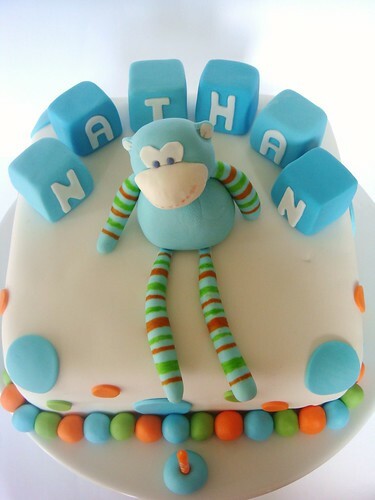 Well this month I was lucky enough to be making a cake for her baby brother, Nathan. While I was at the princess party I took some photos of Nathan's favourite toy, Jiminy. 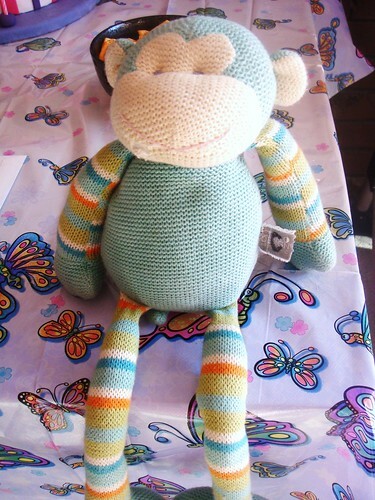 He's sort of like a sock monkey, totally cute! 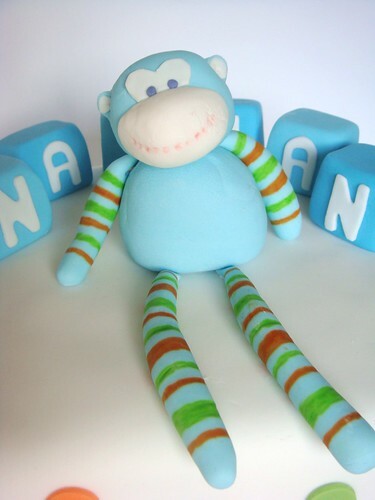 I made the monkey out of 50/50 fondant and gumpaste, I think he looks quite cute, don't you? 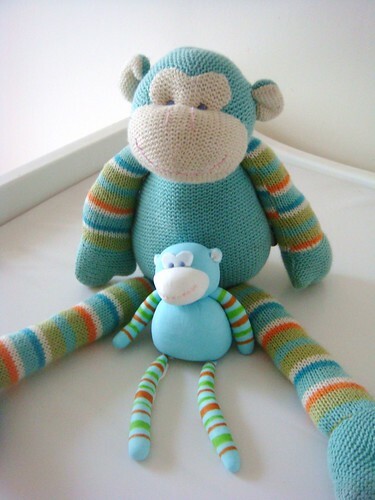 I love the colour scheme here, I did it to match the monkeys arms and legs and I think it looked really effective! 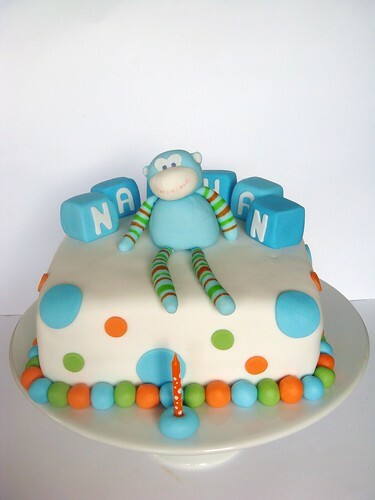 I'm not completely decided yet but I think so far, this is my favourite cake I've made! Woohoo!